We use Principles of War Colonial Ruleset, which are actually called something else, but I will get it right when I construct this page further, and hopefully some pics as well... watch this space. When we do play Colonials it is usually in 15mm. 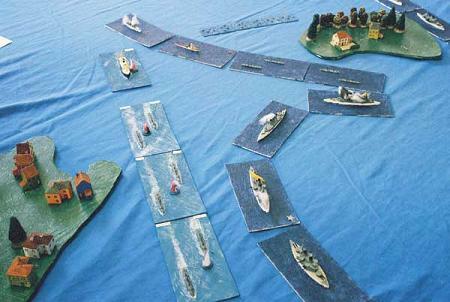 Naval battles, using the rules Damn Battleships Again! (rules for naval battles between 1890-1913), have also been seen at our club. A naval battle between the British and American fleets. 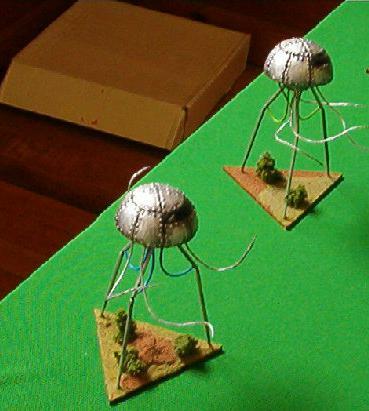 Andrew's adaptation of the POW rules and War of the Worlds. Even the British have mechanised transport in War of the Worlds.